Palpable anticipation filled the air at Commander’s Palace on Valentine’s Day, February 14, 2010, as VIE – People + Places selected the winners of our Legendary Wedding Giveaway, provided by Legendary, Inc. and Emerald Grande. VIE made wedding dreams come true when we announced that Jocelyn Langton and William Cope were the winners of the giveaway valued at more than $30,000. Just before the winners were proclaimed, Bruce Craul, COO of Legendary, Inc. and acting general manager of Emerald Grande, put the icing on the cake by announcing that, in addition to the exciting wedding package, the winners of the giveaway would also receive a weeklong honeymoon at their choice of any one of the Interval International resort properties, which are located in forty-two countries around the world. Jocelyn and William met in August 2007 after they were each relocated to the COLA 2 COLA region as active duty military for the U.S. Air Force. Jocelyn is now a civilian contractor working as an instructor at Hurlburt Field, and William is currently on leave from the Air Force. Jocelyn and William make their home in Navarre, Florida. “The fact that people who serve our country have won this amazing prize makes it that much better,” said Craul. Nearly 1,600 contestants entered the giveaway on VIE’s state-of-the-art website VIEZINE.com. Jocelyn and William will have at least one year to plan their fairy-tale wedding at Emerald Grande. VIEtv, the video production arm of VIE, filmed the announcement of the winners and will be producing the region’s first reality Web TV series, Love is in the Air. VIEtv will follow the bride and groom as they make plans for their big event. 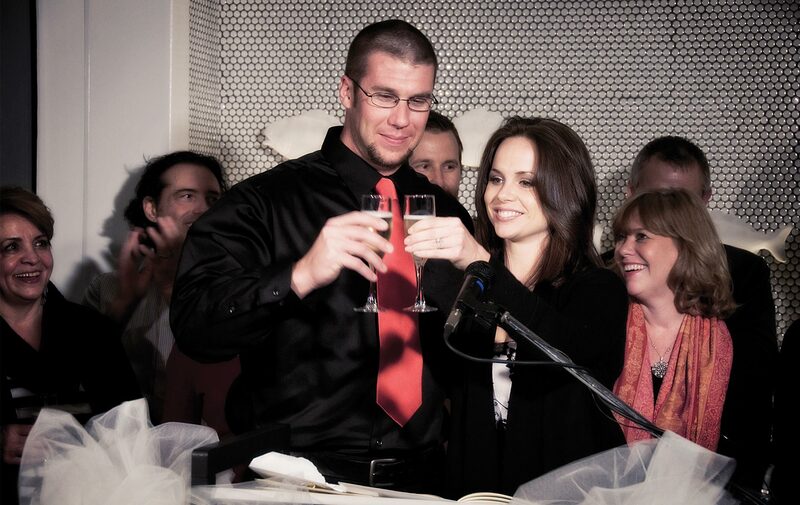 The wedding will also be filmed and shown on VIEZINE.com and all Legendary, Inc. websites. The giveaway includes wedding rings for the bride and groom provided by Destin Jewelers in Miramar Beach; a wedding gown chosen by the bride-to-be provided by Simply Elegant Bridal in Fort Walton Beach; music by DJ-Zoran of Celebrations by the Sea; a four-tiered wedding cake to serve up to one hundred guests by Confections on the Coast, LLC; hairstyling for the bride and groom at the prestigious Salon Twist on Scenic Highway 30A; a one-and-a-half-hour facial treatment with scalp, neck and shoulder massage from Spa 98; photography services by Pure 7 Studios; flowers and rentals from Florals by the Sea; and a dream reception hosted and catered by Emerald Grande overlooking the Destin Harbor and the Gulf of Mexico. Stay tuned to www.VIEZINE.com for progress updates on Jocelyn and William’s exciting wedding plans. Love Is In The Air: Chapter One - The Announcement from VIE Magazine on Vimeo.